*This event is free of charge with advanced registration. 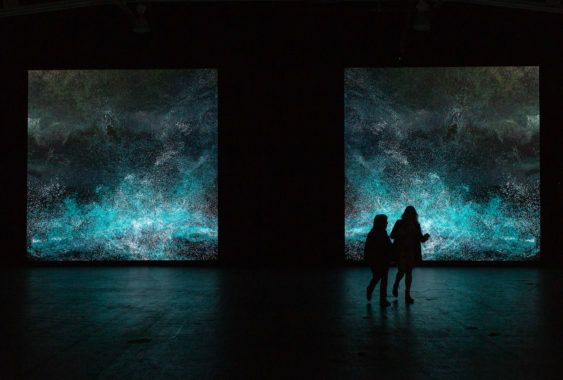 Clifford Ross, Light Waves II, Digital Wave displayed on LED Wall. Installed at COAL + ICE at Fort Mason Center, September 4-23, 2018. Copyright Clifford Ross. A musical working session with Peter Sellars and Ying Fang. The 23-year-old Mozart created Idomeneo, his first major opera, powered by passion for political, social, and environmental change—the most radical and explosive vision of the art form until Wagner, nearly a century later. The opera was so demanding, extraordinary, and forward-looking that it was unrealizable in Mozart’s lifetime, and it was never performed complete until our era. Director Peter Sellars and rising star Ying Fang will explore the histories, emotional colors, and layers of meaning that move across time and project themselves and us, prophetically, into a possible future.